Many patients want straighter smiles, but forgo treatment because they assume that they’ll need metal braces. At the Scottsdale dental practice of Dr. Marjan Nejad, we provide invisible braces with MTM® clear aligners to treat for minor crowding and gaps. Conveniently straighten your smile with custom clear trays at 1st Scottsdale Dental. Ready for your brand new smile? Contact us today to schedule your consultation! A patented technology, Minor Tooth Movement (MTM) clear aligners are provided for patients who have minimal need for orthodontic treatment. 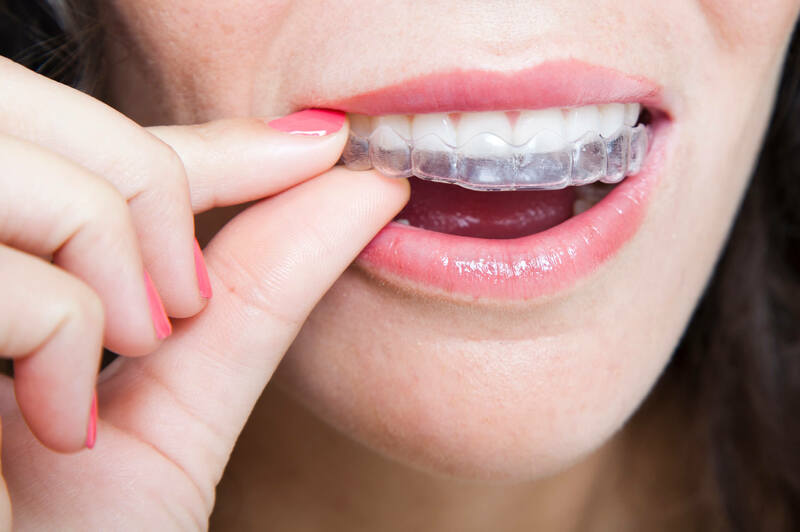 These aligners are made custom to the rest of your smile, ensuring proper fit and made to be nearly invisible. Patients benefit for the inconspicuous treatment as they can straighten their smile without the use of uncomfortable, noticeable metal brackets and wires. Our Scottsdale dentist provides a series of clear aligners that improve the appearance of your smile. MTM removable clear braces allow patients to carry on daily functions, attend important events, and eat their favorite foods while still straightening their smile in as little as three to six months. Do I Need Invisible Braces? We welcome patient who’ve never received orthodontic treatment before, as well as patients who find that they have experienced relapse. For smaller concerns to your smile, MTM clear aligners in Scottsdale can help you attain the smile you deserve. We welcome teens and adults, those who have already removed their wisdom teeth, to receive clear aligners to achieve straighter smiles. Dr. Nejad will begin with an in depth consultation about your oral health and how we can utilize this treatment to address your aesthetic concerns. We take impressions and photos of your smile in order to create your orthodontic report. Our certified MTM dentist develops your treatment plan and determines how long you will be wearing the aligners. Utilizing minor movements to gradually straighten the smile, these clear aligners correct aesthetic issues and a new set is given to you every two weeks. We recommend that you wear aligning trays at all times aside from brushing or eating and drinking. Wearing your aligners (braces) for the maximum amount of time, it ensures that you’re on schedule to achieve the smile you desire. Dr. Marjan Nejad and her team in Scottsdale provide MTM® clear aligners which are a convenient solution to a beautiful smile. For more information about how we can straighten your smile, contact 1st Scottsdale Dental for an appointment today!